Lead your dragon boat team to be the champions in this year Hong Kong Dragon Boat Festival! 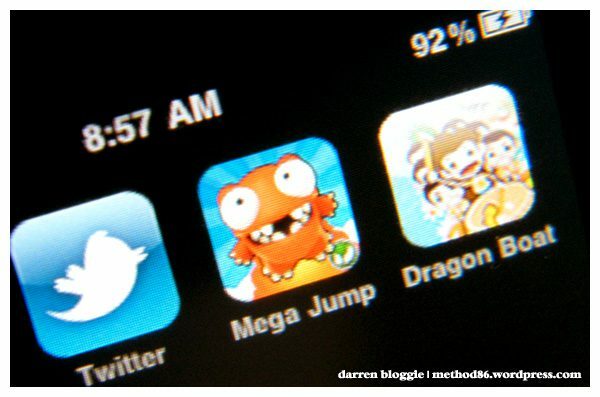 Ever get sicked of the games in you iPhone? or you are those whom are always on the lookout, browsing through the itunes store for the latest new games and application? NOW, i’ve something new to introduce to you guys! 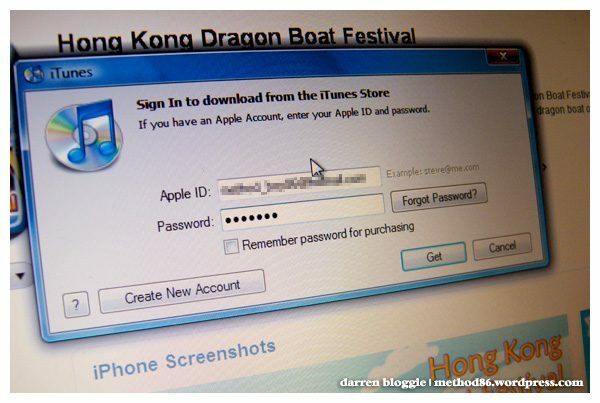 Lead your dragon boat team to be the champions in this year Hong Kong Dragon Boat Festival on your iPhone! something interesting huh? 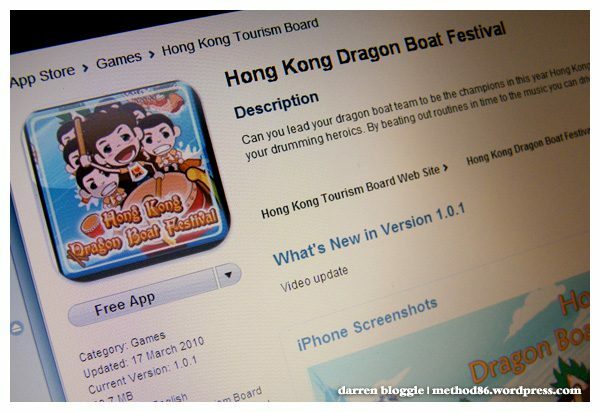 ok, before i continue, let me give u a brief introduction about the dragon boat festival in hong kong, as this application is brought to you by the hong kong tourism board! The Hong Kong Dragon Boat Carnival, held on beautiful Victoria Harbour is the perfect opportunity to soak up all the fun and excitement of the International Dragon Boat Races, the biggest event of the Hong Kong Summer Spectacular! Enjoy fabulous live entertainment, food stalls and a biergarten while you watch the world’s best paddlers compete for glory in the Hong Kong International Dragon Boat Races. 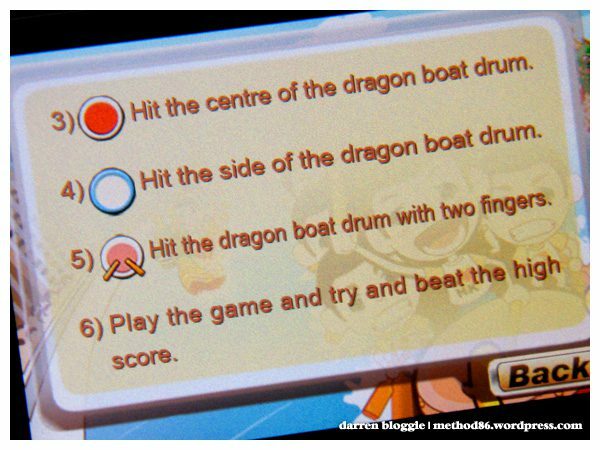 Ok, so now you have a better idea on what the hong kong dragon boat carnival is all about, Let’s get started with the game application on your iPhone! First, Download you application from the link HERE. Click on the Free App button, key in you apple ID and password to download. Sync it with your iPhone and TADA! the game application is now in your iPhone! 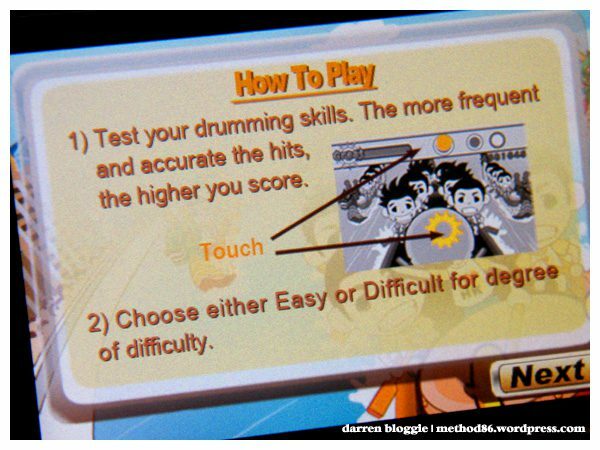 SO… How to play ?! For more information about Hong Kong Tourism, Visit their website here. Vote for Me! Top 10 Finalist for the Singapore Blog Awards 2010!